What a blessed 2016 we have had! God has guided us in so many ways and has taken us down paths both unexpected and incredibly rewarding. We wanted to take a moment to let you know where we have been, what has been accomplished, and the bright future of 2017! This year marks the first year seeds and seedlings have been planted and produce grown to both sell and donate. 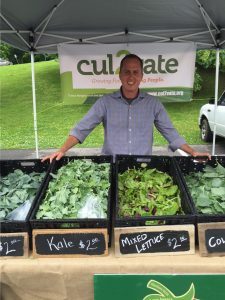 Produce was grown in Franklin as well as at our main site located at Ellington Agricultural Center, thanks to our partnership with The State of Tennessee. 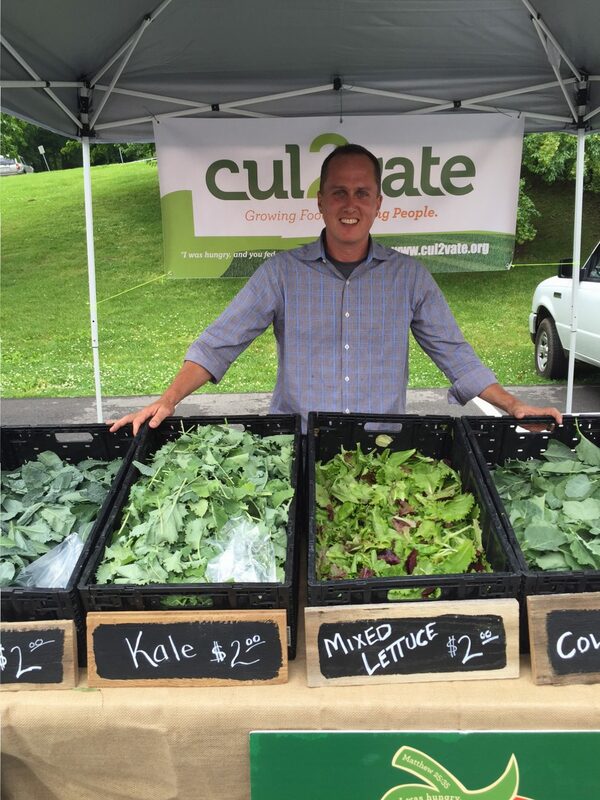 We took our fresh produce to Farmin’ in the Hall and Carpenter’s Square farmers markets throughout the summer. What a blessing this was! We could not have felt more embraced by the community surrounding us! True to God’s plan, over 6 tons of food were donated to those in need! 6 tons! 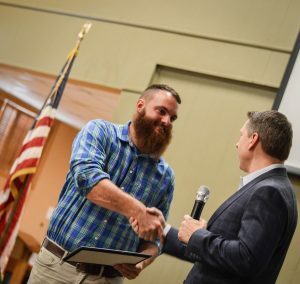 This goal would not have been realized without the support and diligence of community ministry partners – GraceWorks Ministries, OneGenAway, Care Kitchen Outreach, and The Nashville Food Project. Working along side these partners, crops were put directly in the hands of those who live in food deserts right here in Middle Tennessee. 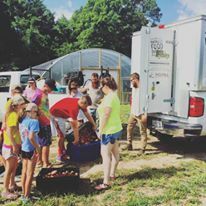 We look forward to continuing these relationships and reaching out to those in Davidson and Williamson county who do not have access to fresh produce. Our first group of Cul2vators (farmer-students) were also educated! They received training in farming, life skills, discipleship, and job readiness. With facilitators from all walks of life – Belmont Enactus, CEOs of major corporations, professors from Belmont and Vanderbilt, pastors, tenured teachers, and experts certified in farm management, our Cul2vators received very hands-on and well-rounded training. Both walked with us in faith, grew with us, and earned full-time jobs at the end of their time with us, and we continue to mentor and work with them now. While these resources were provided for them, they blessed us more than we could have ever imagined. Thank you so much to those who have been our champions already! Without your gifts, volunteer work, enthusiasm for our ministry, and prayers, we would not have been able to have so many successes. We are so blessed you have journey with us as we follow God’s path for Cul2vate. As we move into 2017, we hope to increase the amount of food donated, train 8-10 Cul2vators , and improve our facilities at our farms to increase production while maintaining our close ministry relationships. Join us as we continue growing food and growing people! As the end of the year approaches, consider giving to Cul2vate to help us where God leads us in our next season! $50 can provide vegetables for a family of 4 for a month. $100 can provide vegetables for 2 families of 4 for a month. $250 can help provide up to 500 pounds of produce for a ministry partner. $1000 will pay the wages for one month for a Cul2vator as they progress through our program. We invite you to team up with us in our mission to feed the hungry both spiritually and physically as we head into 2017. You can give online here or mail a check if prefer. You may also make a big impact by providing a monthly gift! We wish you a very Merry Christmas and a blessed New Year!